Amongst the well-worn cliches that cause my eyes to roll in annoyance is the one regarding the nature of the penalty shoot-out. You know the one, the one that involves the words "penalties" and "lottery". If you haven't heard it before, then pay close attention to the football punditocracy over the next month. You will. 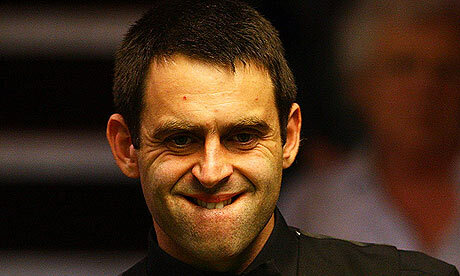 In the recent World Snooker Championships, Ronnie O'Sullivan was eliminated in the Quarter-Final stage. Where O'Sullivan is involved, headlines tend to follow, whether in victory, but even more so in his failures. This is due to O'Sullivan being the most talented player ever to have potted a snooker ball. Despite the Essex man's incredible natural talent, he has never been able to dominate the game in the manner that many have expected from him. I must now qualify the rest of this post. What you will read from here onwards is in no way intended to defamatory or insulting. It is not based on fact or personal knowledge. It is just a theory of mine, musings from someone who has observed and marvelled at O'Sullivan for years. With England manager Fabio Capello having named a provisional list of 30 players to go to the World Cup this summer, myself and Jonathan will attempt to predict which 23 men the Italian will select to try and win England's first World Cup for 44 years. While allowances have to be made for potential injuries, if the squad was picked today here's what I think it would be. There's no point in trying to pretend. This was not a vintage Premier League season. The lack of investment at the so called 'Big Four' teams meant that the gap between them and the clubs chasing places in the Champions League narrowed. Especially in the red half of Merseyside. While some of the major names suffered a few bloody noses throughout the season, there were some impressive showings from clubs who may have been expected to struggle. While many point to the fact that the trophy drought at The Emirates has stretched to a fifth season, many of those same critics had expected Arsenal to finish outside the top four Champions League places. Not only did The Gunners have few problems securing their place in the top four, but did it without a centre forward for a large part of the season. Indeed, it was only in the final weeks of the season that they fell out of the title race. While Arsene Wenger failed to bolster the squad sufficiently, he could never have expected the injuries incurred by Arsenal's best players, often at key moments of the season. I maintain that had Robin Van Persie been fit for the whole nine months, Arsenal would have won the league. The mood of positivity that has been around Villa Park since the arrival of Martin O'Neill began to fade around February. Losing the Carling Cup Final and unfounded Internet rumours that O'Neill had fallen out with Villa owner, Randy Lerner, has led many to believe that this season will be the Northern Irishman's last in the Midlands. Whether that's true or not, O'Neill has been allowed to spend a lot of money and it looks as if Villa are hitting their heads on a glass ceiling. They also lost an FA Cup Semi-Final on their second trip to Wembley and failed (narrowly) to break into the top four again. I personally think O'Neill should stay but he has to make sure that the club doesn't begin to stagnate. On their first season back in the top flight, Birmingham were one of the season's success stories. Tipped by many (me included) to be relegation candidates, they confounded expectations by coming closer to to qualifying for Europe than going down. Their safety was all but assured by a 13 match unbeaten run, stretching from October to January. At one stage, Birmingham were the form side in the division. This was built on the solid defensive work of Roger Johnson & Scott Dann, while Joe Hart was superb as the last line of defence behind them. Between them those three were probably the best defensive 'triangle' of the season. This squad should be good enough to keep Birmingham safe next time around, but if McLeish wants upward progress at St Andrews then he'll need to add some firepower to his squad. Sam Allardyce has very quietly made Blackburn into a side that no team likes to come up against. Given that they looked certain to drop down to the Championship when he arrived, he has done some impressive work. This Blackburn side are very much like the team he had at Bolton. Direct, solid, awkward, and very difficult to beat. Allardyce managed to take Bolton in Europe. I for one, would not bet against him doing the same here. While I feel Gary Megson was unlucky to lose his job, Bolton now have a more accomplished man at the helm in Owen Coyle. Since being in charge, he has wisely taken his time in trying to change Bolton from playing their favoured long-ball style to a more progressive, one-touch passing style of play. By next season, The Reebok Stadium may showcase some of the most attractive football in the Premier League. As long as they can stay solid at the back, Bolton could be top-half material next season. Were Burnley the Premier League's very own Jedward's? They were patently never good enough to be playing amongst English football's best and brightest, but a lot of people seemed to like having them around. While they produced some stunning results at Turf Moor, particularly against the bigger sides, their woeful away form and the loss of Owen Coyle to Bolton meant that Burnley were doomed before the turn of the year. While I won't miss any of their players, I will miss their fans. The best that the Premier League had to offer. An ageing squad of immoral, cheating, arrogant overpaid players that encapsulate everything that's wrong with football these days? A matter of opinion. Here's the facts - no team won more games than they did, no team lost fewer games than they did, no team scored as many goals as they did. This may be the last hurrah for this Chelsea side, but what a hurrah. To paraphrase the wrestler Ric Flair, "We are your Champions. Learn to like it". At times this season Goodison Park was more akin to a hospital ward than a football club. No side were more injury hit than Everton, so they can consider 8th place a solid effort, especially as they almost took the final Europa League qualifying place from local rivals Liverpool. But the questions over the club remain and they are increasingly pressing ones. How long can David Moyes keep overachieving on a relatively modest transfer budget? How long until a bigger side sees sense and gives Moyes a grander stage to display his managerial class? How long can Everton limp on with an atmospheric but ramshackle stadium? Can they still punch above their weight without major investment? Should they ground share with their rivals in red across Stanley Park? The wolves are knocking at Everton's door. The knocking is growing ever louder. Expect them to start huffing and puffing very soon. It's very hard to say anything negative against Fulham. They're like Stephen Fry, the Premier League's very own 'national treasure'. Their extraordinary run to the Europa League final could easily have derailed them domestically. Roy Hodgson deserves credit for preventing such an occurrence as well as buying well in the transfer market to supplement the squad enough to cope with their marathon season, which has exceeded a whopping 60 matches. If only they can improve their away form they could be challengers for the top 7 again. I don't have many positive sentiments here. Hull were lucky not to have been relegated last season. Average management, a disastrous transfer policy and many sub-par players who seemed to spend most of their time fighting rather than playing. The altercation with two players that took place in front of the Women's Institute had to be one of the most unitentionally comedic moments of the season. Hull, back in the Championship - good riddance. STAR MAN - None. I considered Jimmy Bullard but he doesn't deserve it either. How the mighty have fallen. Liverpool overachieved last season and should have won the title. Not only did they fail to plug the gaping holes in their threadbare squad but they also lost one of their key players in Xabi Alonso. This was exacerbated by lacklustre campaigns from men like Jamie Carragher & Dirk Kuyt so maybe we shouldn't be so surprised by Liverpool's horror show in 2009/10. The club is in a mess, both on and off the pitch. I wouldn't expect a revival from them next season. The opulent investment at Eastlands failed to deliver the top 4 finish demanded by the owners. They have plenty of individual talent but no man has been allowed to make the puzzle pieces fit yet. Hopefully Roberto Mancini will be given that opportunity. Given that the chequebook will be out in force again, City are my favourites to get 4th place next season, and with Tottenham being occupied by the Champions League, the door may be wide open enough for City's millions to barge their way into Europe's elite. They may even be a good shout to win the Europa League. Not easy to evaluate United's season. Their transfer spending was poor, and at times looked a shadow of the side who had won three consecutive Premier League titles. 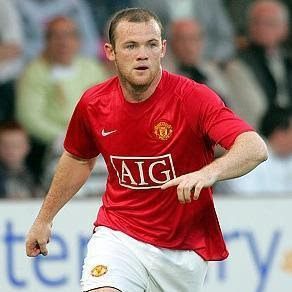 But Wayne Rooney is knocking on the door of the upper echelon of the world's best players, and they only finished one point off becoming champions for a fourth successive season. They cannot depend on the competition being so poor again. This is a crucial summer for Sir Alex Ferguson. With Newcastle gone, Portsmouth seemed to take it upon themselves to be the league's 'circus' club. To go into the shambles that the club has made in their corridors of power needs a blog post of its own. But credit must go to Pompey for getting to the FA Cup Final. Their fans are a credit to the area so I hope to see them back again. But they need to spend some time in the lower divisions to allow them to rebuild properly. Tony Pulis is is yet another unheralded manager who deserves plenty of credit for the job he's done this season. Consolidation is not something to be sniffed at, particularly as Stoke could easily have been a victim of 'second season syndrome'. However, the robust nature of their play cannot be ignored. There's a difference between being committed and reckless, just ask Aaron Ramsey. And Pulis also fell out with a worrying amount of players in his squad. Either he shows not enough prudence when signing players or he needs to change his man-management approach. Very hit and miss were Sunderland. It looks as if the club is finally approaching a solid level of stability, and some of Steve Bruce's acquisitions, especially Darren Bent, shone. They also looked to have discovered a potential gem of a player in Jordan Henderson. But they concede far too many goals and their away form was embarrassing. With Newcastle back in the big time, the Sunderland fans will demand improvement. While them achieving fourth place isn't the Cinderella story some have portrayed it as, they were still the first team since 2005 to break the cartel of the 'Big 4'. And for that alone, they deserve immense credit. While Spurs have always had an attacking threat, they finally fixed the defence. Under Redkanpp, they are no longer the soft touch that they were in previous campaigns. The real test begins next season, trying to combine the dual pressures of both the European stage & The Champions League. How Redknapp buys, or doesn't buy, will be his greatest test as a manager. Gianfranco Zola's dismissal earlier today shows that while he may not have been the right man to be in charge, his treatment by the club's new owners, David Sullivan & David Gold, was undignified, classless and crass. Zola showed incredible dignity throughout this time as the conduct of Sullivan & Gold not only affected him, but also the team. Whoever they appoint as his replacement, they'd do well to keep their mouths shut and let the manager manage. This is a football club, not a self-serving ego project. On the pitch, many of the club's better players also let their manager down. Mark Noble, Matthew Upson, and especially Carlton Cole owe West Ham a big season next time around. Cole's dismal second half of the campaign not only came close to costing West Ham their Premier League status but also his place in England's World Cup squad. The Premier League's 'Jekyll & Hyde' team. The DW Stadium was a graveyeard for the bigger names. Arsenal, Chelsea & Liverpool all leaving there with nothing. But they were on the receiving end of tonkings from Man.Utd, Spurs and Chelsea on the season's last day. I thought that Wigan would be relegation contenders so Roberto Martinez deserves credit for keeping them up. But they need to learn to defend better as they are far too open at times. He may also lose some of his better players, which seems to be the way of things at Wigan. Another tough season potentially awaits. Mick Mccarthy has done a superb job keeping this Wolves side up. Let the half-wits who criticised him for playing a second string at Old Trafford be permanently silenced. Wolves are still in the Premier League, so go away and find something else to moan about. Looking at the personnel, it's a triumph of organisation and spirit, as frankly, there aren't many good players in this squad. McCarthy will need to strengthen if he is to repeat the trick next season. As the Premier League title is decided in the next two hours or so, I'll be updating the situation as it develops. Unsurprisingly my focus will be on Stamford Bridge & Old Trafford but I'll do my best to keep half an eye on the other eight games as well. Last weekend I, along with a thousands of other rugby league fans went north to Edinburgh for the Magic Weekend, which is basically where an entire round of Super League is played in on weekend, 4 games on Saturday and then 3 on Sunday at Murrayfield. In a few hours time Manchester City will play Tottenham in a match that will almost certainly decide who will claim fourth place in the Premier League, and with it, a chance to qualify for next season's prestigious Champions League. The lucrative nature of the competition means that tonight's contest will leave tremors throughout English football that could be felt for years. Ever held a sponge underneath a tap for a few seconds and forgotten to roll your sleeves up, and you then find that your sleeves are as wet as the sponge is? Which do you think dries the quicker? While there will be a more detailed summation to come, here's my round by round updates as the Floyd Mayweather Jr vs Shane Mosley fight happens. Note all times are GMT. 3:45am - The cameras go backstage to Mosley's dressing room as he gets his hands taped up. Some nondescript hip-hop is playing, which I assume helps Mosley get into the zone. When I say nondescript I mean it. I'd love to hear some decent hip-hop come out of a boxer's dressing room. Some Mos Def or Q-Tip for example.